The cleanup should commence soon. The necessary documents have been executed and will be delivered to the funding agency this week. A thought for the day: For every $100 spent in locally owned independent stores, $68 returns to the community through taxes, payroll and other expenditures. If you spend that in a national chain, only $43 stays here. Spent it online and nothing comes home. Social networks are built through hundreds of little and big actions we take every day. Here’s part of a list of nearly 150 ideas, drawn from suggestions by others to connect with others, build trust and get involved. Try some of these or try your own. If you have additional ideas, please send us a comment (click on “comment” below). Q: Are all meetings of public bodies open to the public? A: Most of the time, most of the meetings are open when the members are discussing the public’s business, but there are exceptions. The one absolute is that ALL votes must be taken at open meetings. Q: What are those exceptions? A: The law permits a public body to discuss “personnel” matters in a closed meeting, including hiring, firing, promoting or demoting public employees. However, disciplining an elected official for conduct related to official business must be done in an open meeting. Other exceptions include buying or selling property, meeting with an attorney to discuss imminent or pending litigation, matters related to bargaining with unions and any other issue required to be confidential under state or federal law. Q: What kind of public bodies are covered by this law? A: The law covers just about every decision-making body at every level of government that you could imagine from township trustees to school boards to the city council subcommittee on parades and celebrations. The body doesn’t have to make the “final” decision on an issue. It is enough if the body makes a recommendation to another public body. The law does not apply to all meetings of groups of public officials, though. The mayor’s cabinet, for example, holds meetings and makes recommendations to the mayor, but it is not constituted as a body with any legislative-type, or decision-making authority. Q: What is the reasoning behind the exceptions to open discussions? A: In cases where public employees are being investigated for misconduct, the exception allows potentially embarrassing matters to be kept private before a determination is made about what action to take. If the discussion involves the sale or purchase of property, advance knowledge of the plans could adversely affect the price. Obviously, discussing litigation is very sensitive and should not be open to the opposing side. The same is true of collective bargaining where a public discussion, while it might be interesting, might not be in the best interests of the community. Q: May I take pictures at a public meeting or record what’s going on? A: Generally, yes, provided you don’t disrupt the meeting. You have the right to attend a public meeting, but not the right to be heard at that meeting. If you are disruptive, you waive the right to remain and observe the meeting. A public body may establish reasonable rules regulating the use of audio or video equipment in order to limit interference with others’ ability to hear, see and participate in the meeting. These rules may require equipment to be silent, self-contained and self-powered. So, if you are taking a picture, for example, use a camera that doesn’t require a flash or make a lot of noise. It would be advisable to let the officials know in advance of your plans to record or videotape the meeting. Q: Does the law cover all occasions when members of a legislative body get together, like three county commissioners at the county fair? A: The law covers “prearranged discussion of the public business of the public body.” The fact that a majority of the members of such a body are in the same place at the same time does not make that gathering a public meeting. The gathering must be planned in advance for the purpose of having a meeting. Q: How can I find out when meetings are being held? A: Ask to be put on the public body’s meeting notice list. You can expect to pay a fee to cover the cost of having a meeting notice mailed to you or you may be required to provide self-addressed, stamped envelopes. Letting your opinions be known at a public meeting of your local government is exactly what the Founding Fathers had in mind when they created our nation’s “participatory democracy.” Tell us about your experience. What kind of meeting did you attend? What issue did you speak on? Do you feel your appearance was effective and what advice do you have for others considering speaking at a public hearing? Please describe your experience by clicking on “Comments” below. Your comments can be made anonymously if you choose. What may be discussed in “executive session”? According to the Ohio Sunshine Laws manual [see link below] … An “executive session” is a conference between members of a public body [e.g. village and city councils, school boards, state agencies, etc.] from which the public is excluded. The public body, however, may invite anyone it chooses to attend an executive session. 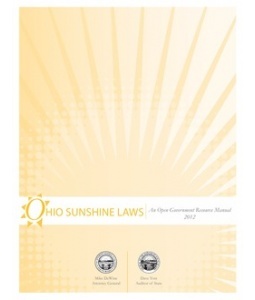 The Ohio Open Meetings Act strictly limits the use of executive sessions and places several limitations on their use. First, the Ohio Open Meetings Act limits the matters that a public body may discuss in executive session. Second, the Ohio Open Meetings Act requires that a public body follow a specific procedure to adjourn into an executive session. Finally, a public body may not take any formal action in an executive session; any formal action taken in an executive session is invalid. • A public body may not hold an executive session to consider the discipline of an elected official for conduct related to the performance of the official’s duties or to consider that person’s removal from office. A motion to adjourn into executive session must specify which of the particular personnel matter(s) listed in the statute the movant proposes to discuss. A motion “to discuss personnel matters” is not sufficiently specific and does not comply with the statute. A public body may adjourn into executive session to consider the purchase of property of any sort — real, personal, tangible, or intangible. A public body may also adjourn into executive session to consider the sale of real or personal property by competitive bid if disclosure of the information would result in a competitive advantage to the person whose personal, private interest is adverse to the general public interest. No member of a public body may use this exception as subterfuge to provide covert information to prospective buyers or sellers. A public body may adjourn into executive session with the public body’s attorney to discuss a pending or imminent court action. Court action is “pending” if a lawsuit has been commenced or is “imminent” if it is on the point of happening. A public body may not use this exception to adjourn into executive session for discussions with a board member who also happens to be an attorney. The attorney should be the duly appointed counsel for the public body. Nor is a general discussion of legal matters sufficient basis for invoking this provision. A public body may adjourn into executive session to prepare for, conduct, or review a collective bargaining strategy. A public body may adjourn into executive session to discuss matters that federal law, federal rules, or state statutes require the public body to keep confidential. A public body may adjourn into executive session to discuss details of security arrangements and emergency response protocols for a public body or public office, if disclosure of the matters discussed could reasonably be expected to jeopardize the security of the public body or public office. A public body may adjourn into executive session to discuss trade secrets of a county hospital, a joint township hospital, or a municipal hospital. A Veterans Service Commission must hold an executive session when considering an applicant’s request for financial assistance, unless the applicant requests a public hearing. Note that, unlike the previous seven discussion topics, discussion of Veterans Service Commission applications in executive session is mandatory. 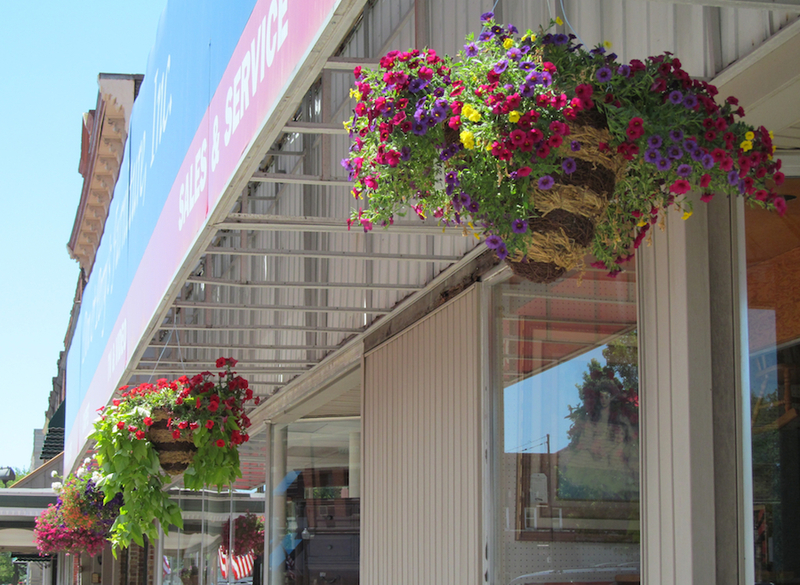 Don & Perry’s Furniture and Appliances on the square in Paulding placed hanging baskets of flowers on the awning to brighten up the streetscape. 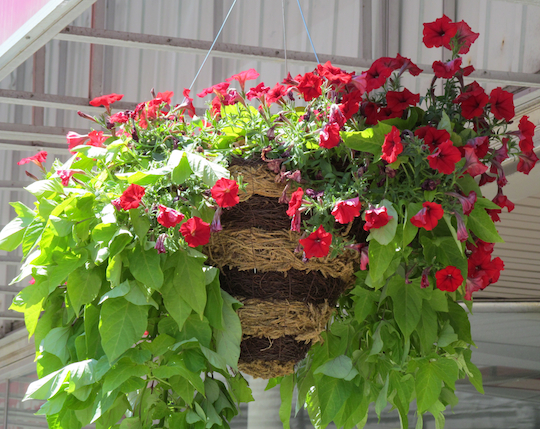 They have continuously through the years maintained and made improvements to their building. They replaced all the windows on the second and third floors, replaced at their expense the entire sidewalk and curb on the Jackson Street side of the building, and replaced and enlarged an addition to the West. By maintaining the building they are able to utiliize the upper floors for valuable showroom space. Great job, you are doing your part to improve the appearance of the downtown. Maintaining buildings and making. them attractive will help create the environment to attract businesses to the downtown. An investment in building improvements will turn an otherwise questionable piece of real estate into a marketable asset.